Manning, a former Army intelligence officer analyst, is incarcerated at the United States Disciplinary Barracks in Fort Leavenworth, Kansas, a maxiumum-security men’s military prison. She’s been allowed to undergo some gender confirmation treatment, including hormone therapy, but her short hair is evidently the last bulwark standing between the United States military and absolute chaos. 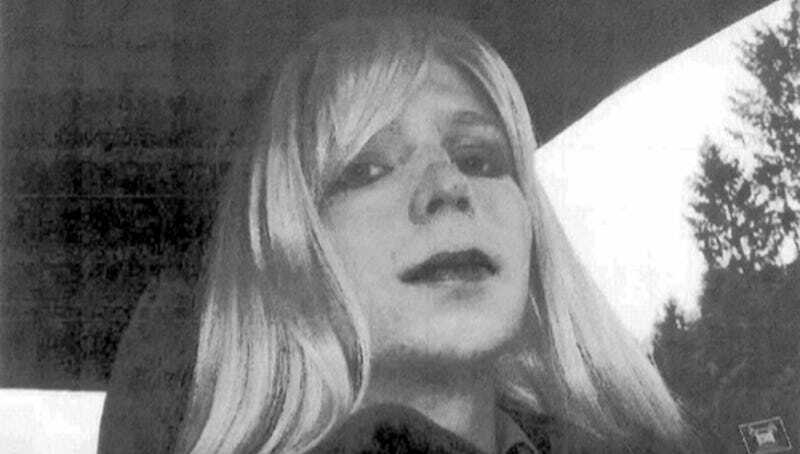 In September, the military announced they would force her to follow male grooming standards; Manning vowed, through a Twitter account operated by her supporters, that she would fight the ruling in court. The DOJ is also arguing that preventing Manning from growing her hair doesn’t violate the Eighth Amendment’s prohibition against cruel and unusual punishment, which is one of the things she alleged in her complaint. “I believe that defining ourselves in our own terms and in our own languages is one of the most powerful and important rights that we have as human beings. Presenting myself in the gender that I am is about my right to exist. What the government is basically telling me is ‘you cannot exist,’ that ‘you are wrong,’ and that ‘you do not exist.’ What they are doing is taking away our right to exist. I think this is the kind of situation that justifies all kinds of terrible things like ignorance, maltreatment, torture, murder, and genocide.